275 in stock Need More ? 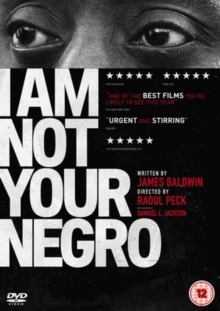 Raoul Peck directs this documentary which explores the history of race relations in the United States through the eyes of renowned African American writer and social critic James Baldwin. Based on the unfinished manuscript of Baldwin's book 'Remember This House', the film features archive footage and interviews with the writer as he discusses the issue of racism in America and reminisces about the work of influential civil rights leaders such as Malcolm X and Martin Luther King Jr.